Pro Tools Expert 15 Minute Mix Challenge videos are back, this time with a twist… quite literally. In this video we set out to mix as much of a song as possible within 15 minutes using only Waves OneKnob Plug-ins in a "channel strip" style in Pro Tools. In this video we test OneKnob Louder on the master track of a mix. Before and after examples have been level matched in the video edit to enable you to hear exactly what this plug-in is doing to the dynamics of the mix without extreme level differences fooling your ears into louder is better. In this video we demonstrate two OneKnob Pumper applications. The first being how we can use Pumper to sound as though a kick drum is sucking the volume of a different instrument in a mix, the other example shows you how you can get a dub sounding Wub Wub effect in a bass instrument. In this fifth episode, we test Waves OneKnob Filter plug-in which provides creative filter effects. OneKnob Filter features four different resonances that are applied at the filter’s cutoff ranging "none" through to "extreme". Watch the video to hear OneKnob Filter in action on a synth bass and synth mix bus. Is OneKnob Filter any good? Watch and decide for yourself. In this fourth episode, we test Waves OneKnob Wetter plug-in which is an ambience reverb effect. It’s great for adding subtle depth to tracks that is felt more than heard through to larger sparse ambiences that sound really quite nice. Watch the video to hear for yourself how OneKnob Wetter sounds on a stereo acoustic guitar, lead vocal and clean electric guitar. In this third episode, we test Waves OneKnob Driver plug-in. Waves describe this as a distortion plug-in inspired from guitar pedals. Watch the video to hear OneKnob Driver perform on an electronic drum kit, synth bass, synth mix bus and vocal arrangement. This is a very creative tool that offers quite a range of gritty possibilities, especially if automated. 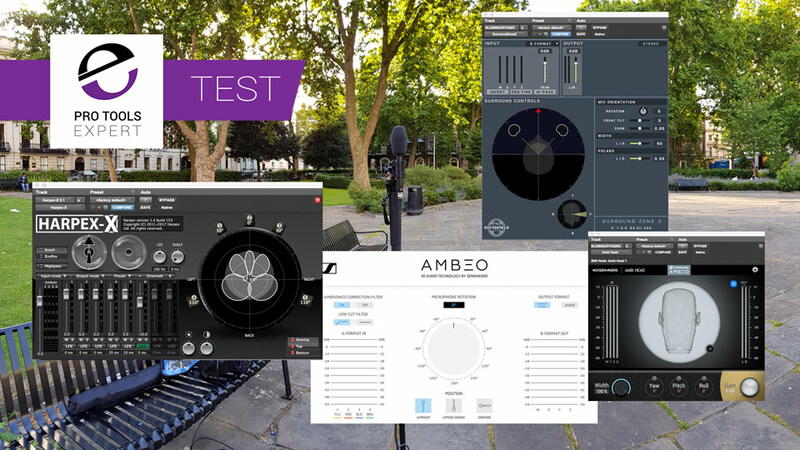 New Pro Tools Expert video series - Testing Waves OneKnob Series plug-ins. In this second episode we test Waves dynamics plug-in OneKnob Pressure on drums, bass guitar and lead vocals. Does it sound any good? Watch the video and decide for yourself. In this tutorial, we aim to explain the difference between different meter types in Pro Tools and their applications, such as K-system, Digital VU and Peak for Pro Tools as well as take a more detailed look at audio metering in general and the advanced metering introduced in Pro Tools 11HD and rolled into Pro Tools Standard in Pro Tools 12.2 and show you what they look like side-by-side. 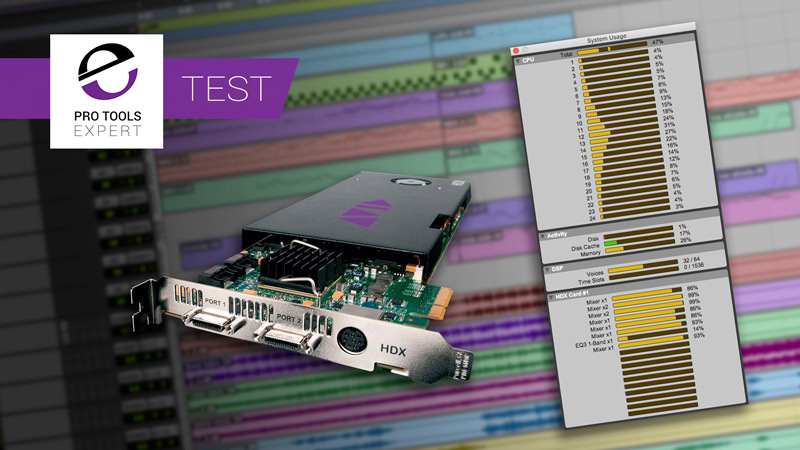 New Pro Tools Expert video series - Testing Waves OneKnob Series plug-ins. In this first episode we test OneKnob Brighter on live drums, acoustic guitar, electric guitar and vocals. Does this provide a nice top end sheen to mixes or is OneKnob Brighter too harsh sounding? Watch the video and decide for yourself. Just before Christmas, we published a shootout between 2 recordings of a Steinway piano recorded through a PreSonus Quantum and a Merging Technologies Hapi and we asked you to take a listen and let us know which one you prefer. We can now announce the results of the shootout and which interface was which. In this blind shootout, we have 2 recordings of a Steinway piano recorded through a PreSonus Quantum and a Merging Technologies Hapi. Take a listen and let us know which one you prefer. 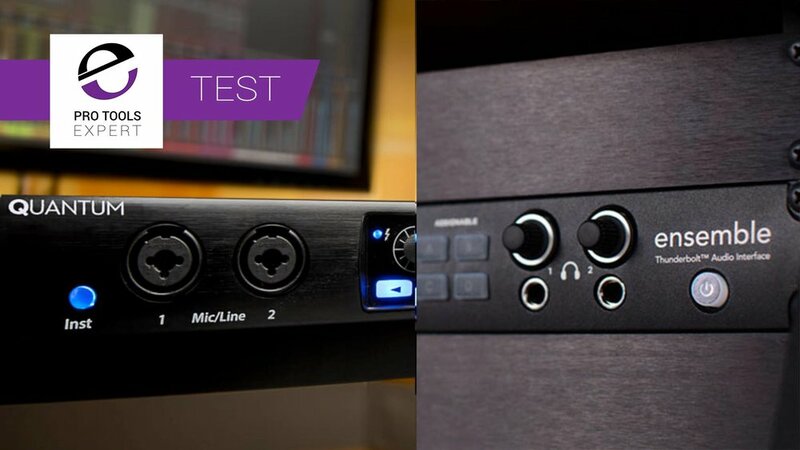 Russ Hughes from our sister site Studio One Expert teamed up with Lee Boylan from PreSonus to run a shoot-out between the Apogee Ensemble Thunderbolt and the new Quantum Thunderbolt audio interfaces. In this video, Pro Tools Expert Deputy Editor Dan Cooper tests the limiter and compressor performances of the CLA-2A plug-in by Waves and compares it against the Universal Audio LA-2A limiting amplifier hardware in this - the first taster of a larger Pro Tools Expert LA-2A shootout planned for later this year. 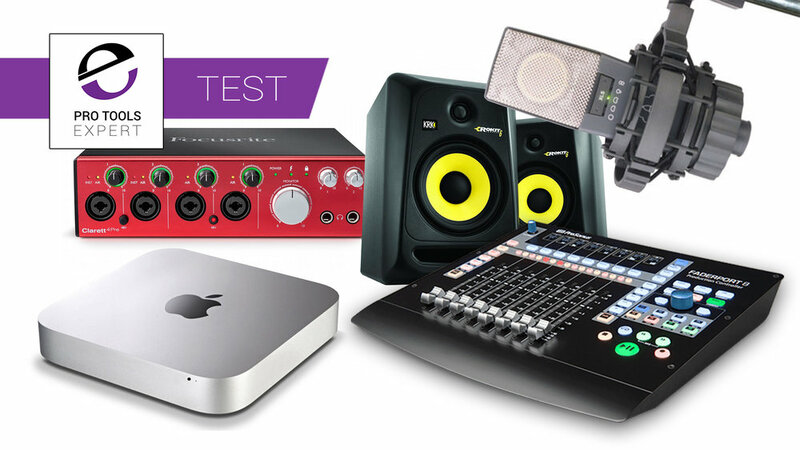 If I Had To Buy My First Pro Tools Home Studio Today On A £3,000 Student Budget - What Would I Buy? What studio gear could I buy today in 2017 for a home Pro Tools recording studio with the same £3,000 student budget I had 2004? Read this article to find out if I managed to find modern day studio gear equivalents based on the home studio gear I purchased in 2004 within the same £3,000 budget.